Since the adoption of new economic policy in 2014, UAE has given priority to few sectors more than others. One such important sector is the tourism and hospitality sector. In past few months, the government of UAE has taken several steps that produced positive results for hospitality sector. These include opening of new tourist attractions, exemption of VAT for tourists, Expo 2020 preparations and its potential for boasting tourism sector in future. 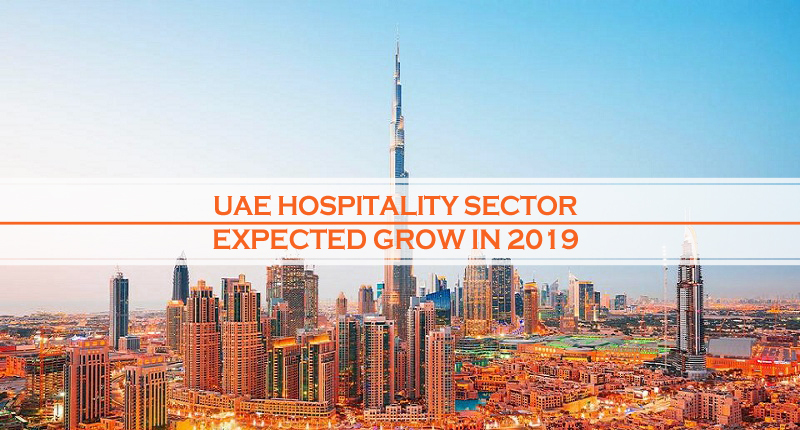 These and other steps are increasing chances of growth of hospitality sector in UAE. According to reports, these steps have produced positive effects on the overall hospitality sector and it has seen considerable growth on second half of 2018. On seeing the situation, it is highly expected that the said sector will continue growth in upcoming year of 2019. According to 5 year (2017-2022) CAGR of 8.5%, the UAE hospitality market is expected to hit $7.6% by 2022. During this same period, the number of international tourists is expected to reach 25.5 million with 5 year CAGR of 4.3%. Along with that, the 5 year CAGR of 6% will grow hotel supply to 183,718 hotel rooms. These figures are presented in the latest report of Alpen Capital on GCC Hospitality Industry 2018. According to experts, Dubai is leading UAE and the whole Gulf region in this aspect as most of over 200 projects related to hotels and restaurants in UAE are present in this emirate. An 8% growth in GDP of these tourist destinations is expected for year on year basis. Currently, there are 104 5-star hotels in Dubai. It is expected that Dubai will receive more than 20 million tourists by 2022 and its hotel supply in 2019 will reach to 132,000. With the increase in tourism, revenue per available rate is expected to grow with a 5-year CAGR of 2.1% up to $116 by 2022. Different departments in UAE are responsible for this growth including: Dubai’s Department of Tourism & Commerce Marketing, Department of Culture & Tourism (Abu Dhabi), Sharjah Tourism Board etc. Few of the most famous presentation of these departments are: Dubai Parks & Resorts, Dubai Frame, Warner Bros Theme Park, The Louvre Abu Dhabi, Sharjah’s heritage area and others. Last Year, Dubai had thousand of tourists and it is being expected it would be up to 2 million now. Dubai, Abu Dhabi is playing a major role in the tourism industry of UAE. Thank YOu! Agreed! and the main reason of this, UAE Government is playing a big role in the development and management of Tourism.